Aug. 21, 2015 I am going to be at the Arab Library from 2:00 till 3:00 for a "Meet & Greet" so parents can come see the class materials and ask any questions. Attention 6th Grade - High School Students! 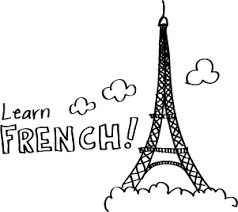 This course will be an introduction for students to the basics of the French language and the French culture. Vocabulary, Grammar & Structure, Pronunciation, and Conversational Dialogue will be taught in a fun laid back atmosphere. Geographical and Historical facts will be presented along with its modern day culture. Call for discounts if enrolling more than one family member.